POWERFUL. SIMPLE. AFFORDABLE. THE 4-IN-1 HIGH-PERFORMANCE ROBOT VACUUM, WITH FOUR CLEANING MODES TO PICK UP ALL KINDS OF FLOOR TRASH. IDEAL FOR HOMES WITH HARDWOOD FLOORS. With the Rollibot BL100 Mini Robot Vacuum, you’ll never have to break your back to clean your floors again. Ten powerful sensors help the Mini detect and intelligently navigate around obstacles, while four cleaning modes let the BL100 tackle most types of mess your house can throw at it. Coupled with its HEPA air filtration, the BL100 Mini delivers cleaner air to go with your cleaner floors. 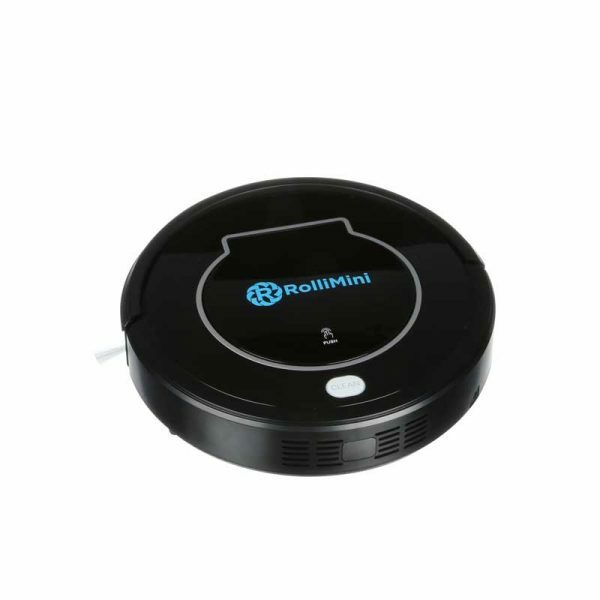 The Rollibot BL100 robot sweeper is the best affordable robotic cleaner for your home! The Rollibot Mini floor cleaning robot conquers messes by thoroughly vacuuming and sweeping hard floors. The floor cleaning robot’s dual rotating sweeper brings in dander, pollen, and other pieces of debris. The Rollibot is ready for your chores, featuring detachable bristles to clean deep into corners and a high performance suction engine for vacuuming. At only 55dB, the Rollibot is quieter than most other robot vacuum cleaners, producing less noise than your average quiet air conditioner. The easy-to-clean dust bin also features double filtration. The first micro-filter traps all the bigger particles of dust, dirt, and debris while the second HEPA Air Filter traps all air particles so that only clean air comes out. With BL100 Mini, you never have to worry about allergy causing pollen, dander, or tobacco particles ever again! Both filters are replaceable and reusable. Pet owners know that cleaning up pet hair is never ending battle. Make everyday cleaning a thing of the past. Schedule automatic cleaning for up to 7 days in advance, perfect for pet owners and people with allergies alike. Need even more control? You can also control the Bl100 Mini with the included wireless remote. Schedule, start, stop, steer, pause, switch between 4 cleaning modes — all at the touch of a button. The Rollibot Mini is the smallest, most affordable model available. 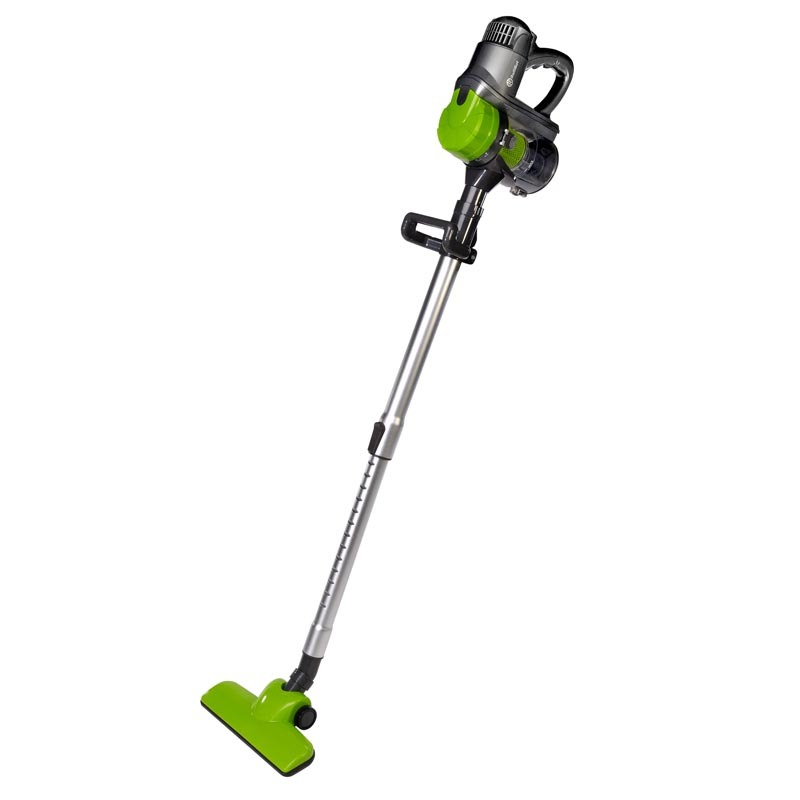 Perfect for cleaning apartments, small homes, dorm rooms and tight spaces. At just one foot wide, three feet tall & weighing just six lbs, the Mini fits under most furniture. 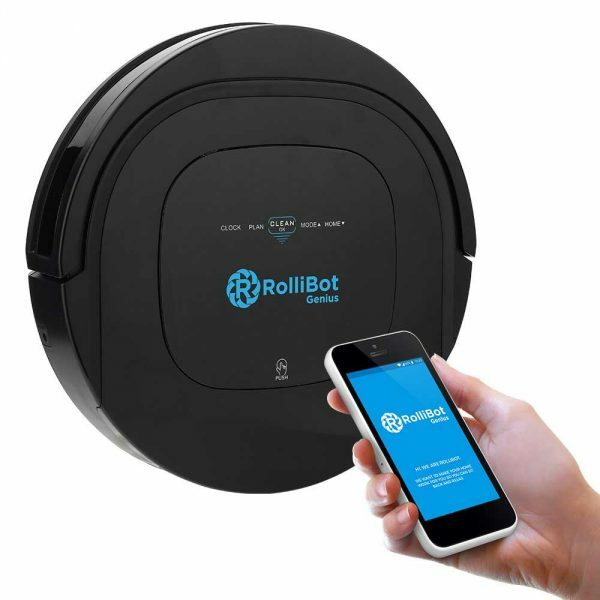 The Rollibot vacuum cleaning robot features four robotic cleaning modes: Auto Clean, Spot Clean, Edge Clean, & Scheduling mode make it ideal for any floor plan.